This is the latest release from the Collingsworth Family, and is their first recording on Wayne Haun and Ernie Haase’s StowTown Records. 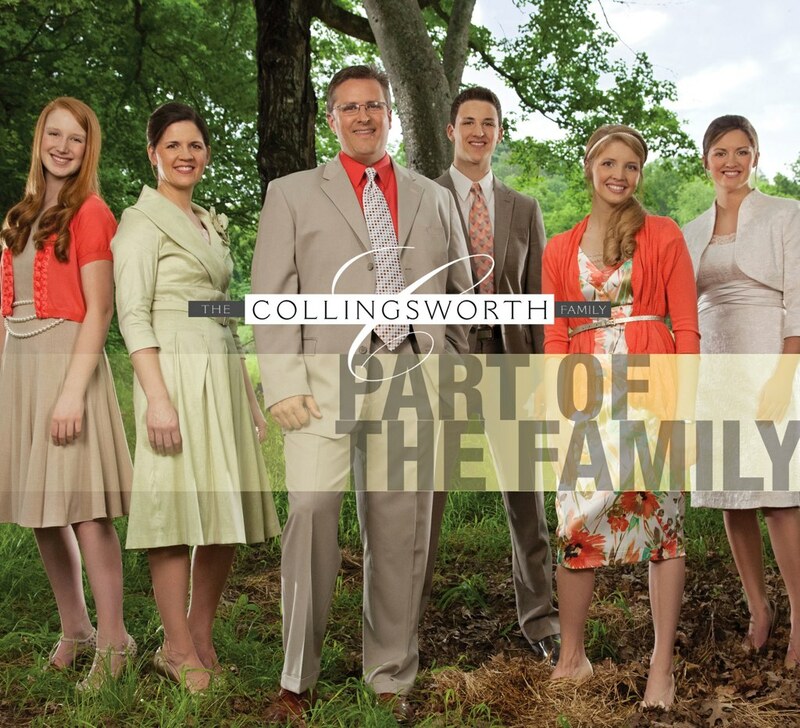 Personnel are Phil Collingsworth, Sr., Kim Collingsworth, Brooklyn Collingsworth Blair, Courtney Collingsworth Metz, Phil Collingsworth, Jr., and Olivia Collingsworth. 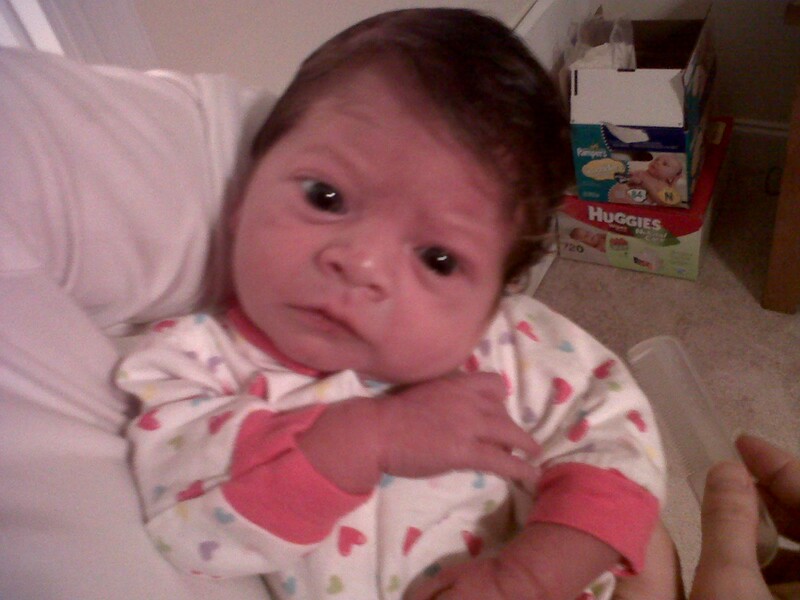 First, the growth of Phil Collingsworth, Jr. as a vocalist. His voice had started changing on The Answer, but it has completed its transformation on this disc, and young Phil has developed quite a tenor voice, in a mixed group sense. The influence of Signature Sound’s Doug Anderson is unmistakeable in his approach to singing, and Phil would make a fine quartet lead singer. His voice has retained a higher range than that of his father, and has a lighter tone to it that really complements his father’s heavier sounding vocals. While the last album was Courtney’s opportunity to shine as a maturing vocalist, the spotlight is squarely on Phil, Jr. with this album, and he steps up and meets the challenge head on. It will be exciting to watch his progress as a vocalist. Second, the Collingsworth family has become so adept to complex harmonies that it is quite remarkable. There are a multitude of places in the course of this CD that the group uses to tricky, complex harmonies, but they use them in passing tones as they are changing chords, and if you aren’t paying attention you are apt to miss them. The effortlessness with which they perform advanced harmonies is nothing short of amazing. This is mostly present in “That’s The Place”, but you can find the same thing in several other spots on the CD as well. This is a great start to a relationship between the Collingsworth Family and StowTown records. Wayne Haun picked the right songs and arranged them in a way that really complements the strengths of each of the vocalists. With her performance on “Nothing’s Worrying Me”, Brooklyn has taken the next step towards becoming an elite level soprano. Courtney continues to impress, and her song “I Found It All” fits her voice and style perfectly. She is well on her way to becoming another of SG’s unsung “glue” vocalists. Phil Jr. gets a lot of chances to shine on this disc and he doesn’t disappoint with any of them. Olivia shows that her transition to a capable vocalist has been completed, as not only does she do well with her feature, but she’s also more present in the mix when the entire family is singing. You already know that Phil and Kim are going to give you the highest level of quality in their performances, and they continue to do so on this album, but they’ve also seemed to take a step back on this CD to allow their children to showcase their growing talents and abilities. This album is also unique in their canon in that it is all vocal performances, there are no instrumentals to be found, which is a testament to the maturation and growth of the vocal ensemble sound. Part Of The Family is a resounding job well done by all involved, and you won’t want to miss out on this album! Prayer Requested For Phil Collingsworth Sr. The Collingsworth Family posted on their Facebook page a request last night for Phil Sr. Phil will be undergoing brain surgery this morning to move an artery in his brain stem that is pressing against a nerve that controls the muscles in the right side of his face. Please keep Phil and the rest of the Collingsworth family in prayer. Daniel Mount has some additional information about the surgery here.